Product prices and availability are accurate as of 2019-03-26 18:29:11 EDT and are subject to change. Any price and availability information displayed on http://www.amazon.com/ at the time of purchase will apply to the purchase of this product. 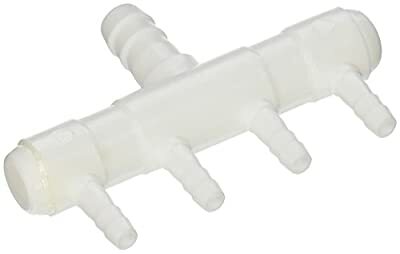 Diffuse air with these high quality plastic air manifolds. Double barbed ends for tight seal with tubing. Recommended tubing sizes:; Input - 5/16" I.D. Output - .17" I.D.